Moving to the Philippines - Compare International Movers & Save up to 70% ! Comparing quotes with Intlmovers is one of the most convenient ways that you can save yourself time and money for your international move to the Philippines. This is a quote comparison site that allows you to quickly and easily request quotes from up to six international moving companies in a single request. 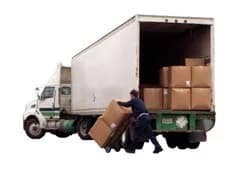 They receive your request immediately, as it is forwarded directly to them for them to arrange a quote specific to your moving needs for the Philippines. Using Intlmovers can save you the hassle of having to chase around and find companies for yourself. After using the easy drop down menu below to choose your moving departure and arrival location, you will be presented with a list of relevant companies that are specialists in international moves to the Philippines. Even more convenient, the international moving companies will respond directly to you. They will likely want to clarify a few things about your move so it is important that you include a contact number of email that is easily contactable. Once you have received your quotes, you can compare the difference offers available to you and make an informed decision for your move to the Philippines. Complete the easy request form and receive quotes directly for international moves to the Philippines. The international removal companies have years of experience with moves to the Philippines. Conveniently compare international removal services in the comfort of your home. Making any type of international move is a big adventure, but you can also ensure that your international move to Philippines is made as stress free as possible with Intlmovers. The Republic of the Philippines is in South East Asia is an archipelago made up of over 7000 islands. The major islands are Luzon, Visayas and Mindanao. The estimated population of the Philippines is around 94 million people. The capital city of the Philippines is Manila, although the largest city is Quezon City. English and Filipino are the official languages, although there are an additional eight recognized languages. Processing of a visa is generally fast, with an expected turnaround of just a few days. The visa processing fee varies depending upon your country of origin and the total amount of time you have requested for your visa approval. The visa term of stay that you can request is from three months, six months or twelve months. As with any international travel, it is always recommended to check on the latest information regarding travel and visa requirements for living and working in the Philippines. When you are making an international move, you want to feel confident that you are entrusting your personal and business goods with a third party who is going to handle them well. You want to feel safe in the knowledge that they are being expertly managed and transferred in a professional and efficient manner that will help secure their safe arrival in the Philippines. The companies that list with Intlmovers are relocation professionals, with years of trusted and reliable experience in international shipping and moving. You know that you can receive up to six international moving quotes quickly and easily with Intlmovers. In addition to saving you both time and money by effectively assuring international moving quote responses, you also have the added advantage that that quotes you receive are obligation free. This means that no matter what replies you receive, you should only accept a quote if it meets your needs. When quotes are obligation free, it means requesting quotes can be done totally risk or commitment free!